With a decision on the next phase of NASA’s Commercial Crew Program expected as soon as next month, companies with funded awards from the program’s current phase, Commercial Crew Integrated Capability (CCiCap), are approaching some of the final milestones of those agreements. For at least two of the companies, though, those efforts may not be done until next year. On Tuesday, Sierra Nevada Corporation (SNC) announced the completion of the latest milestone of its CCiCap award, a risk reduction program for the main propulsion system and reaction control system (RCS) for its Dream Chaser vehicle. The main propulsion system is a hybrid rocket motor developed at SNC, similar to technology it provided for Virgin Galactic’s SpaceShipTwo (although Virgin is now going with an alternative fuel for SS2.) 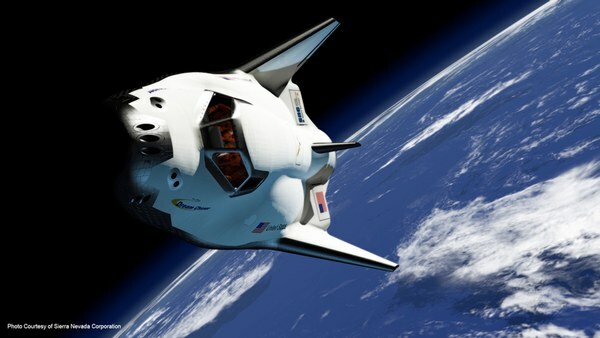 Dream Chaser’s RCS is being provided by ORBITEC, a company SNC announced last month it is acquiring. SNC didn’t disclose the monetary value of the milestone, but did state that it is the tenth of thirteen milestones SNC has completed under its CCiCap agreement. United Launch Alliance (ULA), meanwhile, announced Monday that it recently completed a critical design review (CDR) for the facilities at the Atlas V launch site in Florida that would be used by Boeing’s CST-100. This includes a crew access tower, arm, and “white room” that CST-100 crewmembers would use to access the spacecraft atop its Atlas V launcher at Space Launch Complex 41 at the Cape. Both Boeing and SNC have said that they plan to launch their spacecraft on Atlas V rockets, but the ULA announcement only refers to accommodating the CST-100. While the CDR is part of Boeing’s preparatory activities for the CST-100 program, it does not appear to be an explicit CCiCap milestone. According to the latest “Return on Investment” newsletter issued by the NASA Commercial Crew Program office, Boeing has completed 18 of 20 milestones in its CCiCap award, SNC has completed 10 of 13, and SpaceX has completed 13 of 18. Boeing is expected to complete its final two milestones, a spacecraft CDR and a safety review, in the near future. Upcoming milestones for SNC, according to the NASA report, include “risk reduction and technology readiness level advancement testing” and a incremental test of the Dream Chaser RCS. SpaceX’s next milestone is the qualification of Dragon’s primary structure. While the companies have completed most of their milestones, NASA is giving SNC and SpaceX more time to complete their remaining milestones. NASA is extending the terms of the Space Act Agreements with those companies until March 2015 to allow SpaceX to complete an in-flight Dragon abort test and SNC to perform a free flight test of Dream Chaser. Those three companies are awaiting NASA’s decisions on contracts for the next phase of the program, Commercial Crew Transportation Capability (CCtCap). NASA expects to make awards in August or September, in the form or one or more fixed-price contracts. Previous phases of the program used funded Space Act Agreements. The CCiCap awards shoehorn commercial companies into NASA’s slow and inefficient management practices: PDRs, CDRs, and other reviews. These practices add a significant burden in time and dollars. Given ULA’s background, this is old rope to them. For SNC and SpaceX, once they milk CCiCap for all the money they can, they need to jettison this practice.